Behind the Sheraton Hotel & Spa, in the backstreets of Nha Trang, you can find some pretty decent beef pho noodle soup for super cheap (along with even cheaper Vietnamese subs). 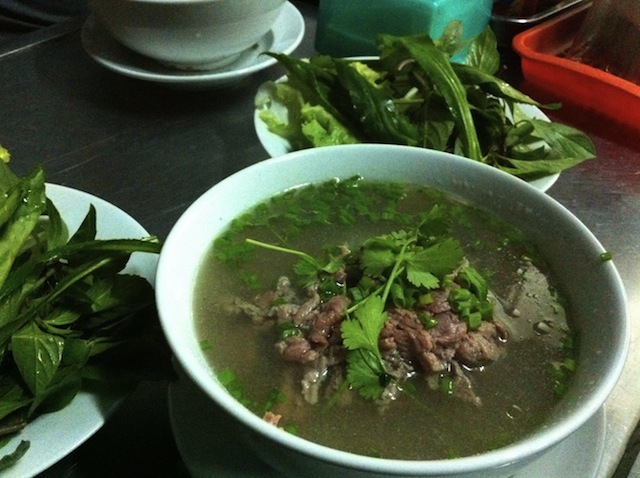 Although we were charged the exceptionally low price of 30,000 Vietnamese Dong (approximately $1.00 USD) per bowl, we know locals are charged even less! The basil, cilantro and green onions were all extremely fresh and fragrant. The broth of the pho we eat in Vancouver always has a very strong aroma and infuses our clothes with an aggressive scent. This pho however, was a lot lighter and tastier than the pho at home. The fresh noodles had a nice chewiness to them, and the rare beef cooked perfectly in the steaming broth. 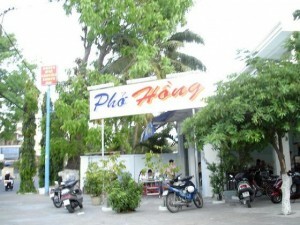 Pho Hong is a casual restaurant and serves one dish: Pho! This made things easy when ordering as we don’t speak Vietnamese. We held up four fingers and said ‘gahm uhn’ (thank you). 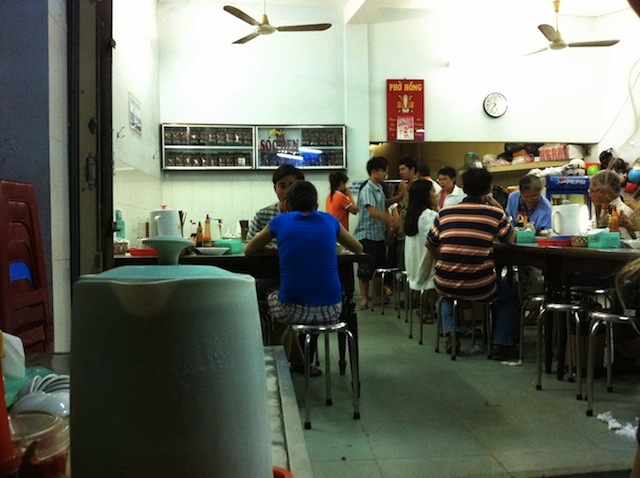 Minutes later we were served four bowls of piping hot and delicious pho.